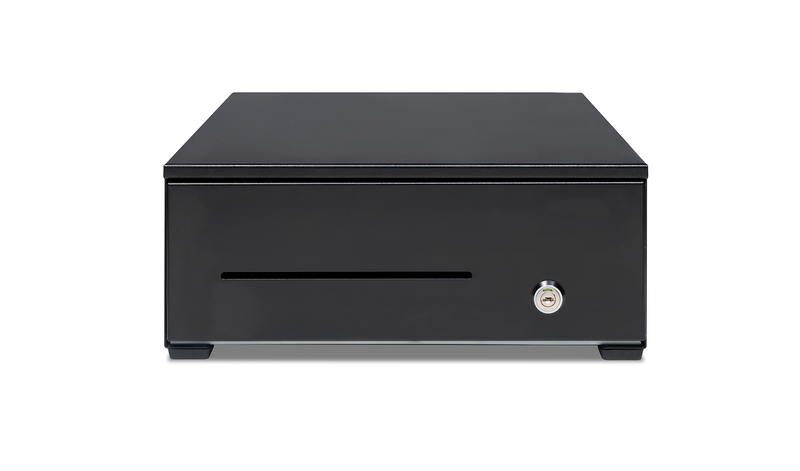 Like all the products in our HD series, the HD-3342 cash drawer is made of tough, rugged materials. 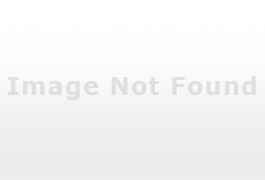 Its thick-gauge steel casing and shatterproof PVC tray with sturdy metal hold-downs are designed to withstand constant operation: perfect for high-traffic retail venues such as restaurants, bars and gas stations. 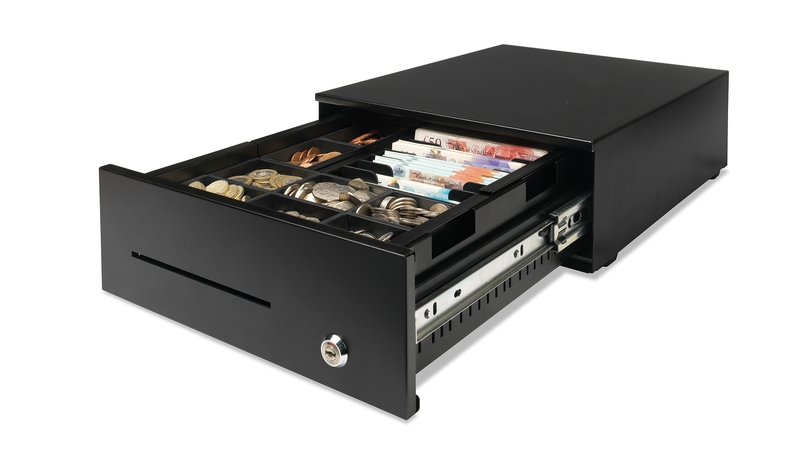 This heavy-duty cash drawer is ideal for use in high volume retail environments, bars, restaurants and gas stations. 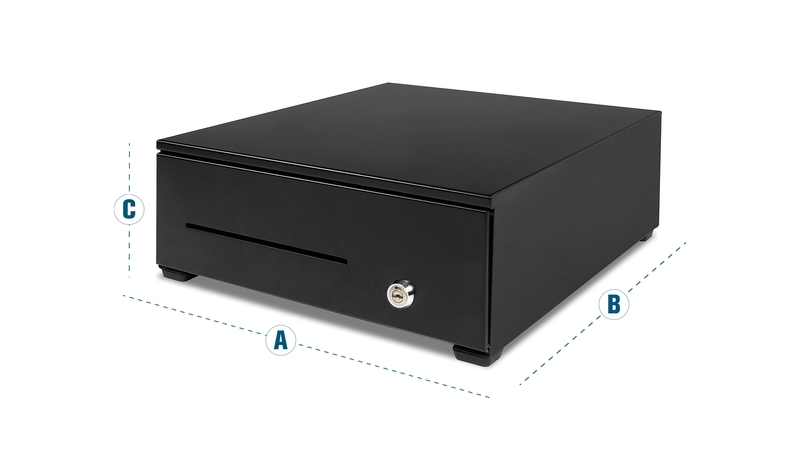 Featuring a metal casing, an extra solid telescopic sliding mechanism with ball bearings and a strong pvc drawer tray, the Safescan HD-3342 has been tested to last for at least 2 million open/close cycles. 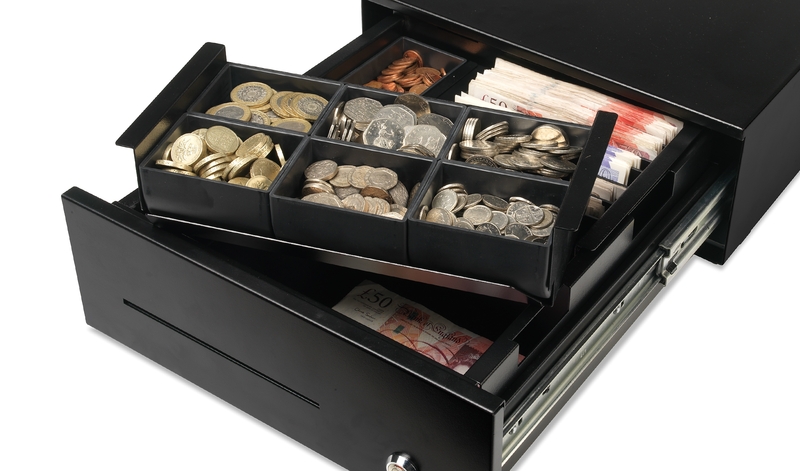 Adjustable banknote dividers let you customize the HD-3342 for exactly the bills you want to store, and 8 coin cups keep all your small change and tokens neatly sorted in one convenient place. A spacious media slot provides plenty of room to store coupons, credit-card slips and other non-cash transaction media. The HD-3342 is equipped with a sturdy 3-position, 4-function lock and an industry-standard RJ12 outlet including Microswitch to maximize ease of use without compromising security. 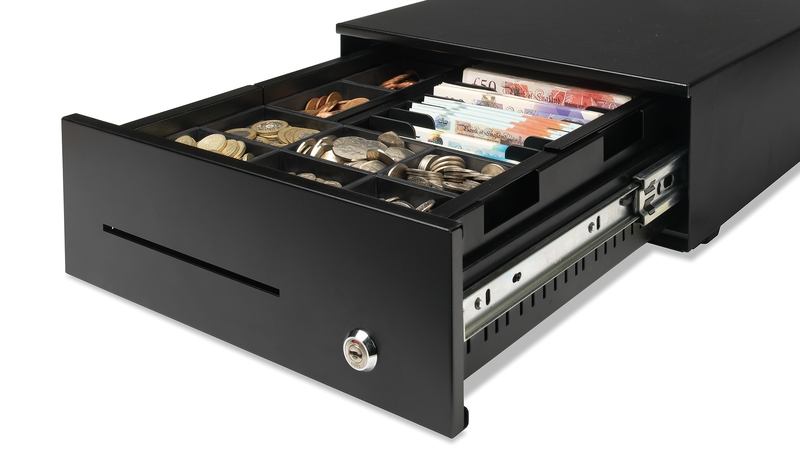 Set the drawer to open automatically via your cash register or printer, or open it manually; lock it in the closed position (if you have to step away) or open position (when empty, to deter robbers). RJ12 cable included for easy integration into your existing POS system.